Looking for a way to celebrate and remember for Black History Month? Check out the current High Museum of Art exhibition of Civil Rights photography titled “A Fire That No Water Could Put Out:”, on view through April 29. Step back in time to the Golden Age of Hollywood at Sewell Mill Library and Cultural Arts Center with iconic films from the silver screen! Each Thursday afternoon screening features a movie classic you have come to love. Feel free to bring your own food and drink to enjoy during the movie. 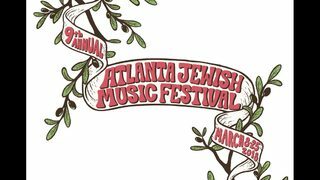 The AJMF returns for its ninth year with a diverse musical lineup curated to please audiences of all ages, backgrounds and affiliations, including Jews and non-Jews. The three-weekend festival will run March 8-25 in various locations throughout metro Atlanta. It includes fresh musical talent, returning favorites and a bevy of international artists sure to penetrate the soul of music listeners. Some events are free and unticketed. Visit the website to find out which events are free over the weekend. Don’t miss the family friendly Forsythia Festival this weekend. 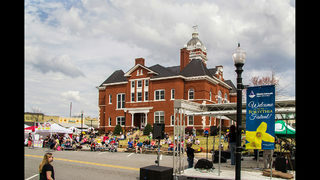 Enjoy an arts-and-crafts show, 5K race, live entertainment, children's fair, pageant, tournaments and more in downtown Forsyth. The event will take place from 10 a.m. to 6 p.m. Saturday, 11 a.m. to 5 p.m. Sunday, March 10-11. Discover an excitement for science you never knew you had at the Atlanta Science Festival, which takes place throughout metro Atlanta from March 9-24. The festival is free with advanced registration and will include topics that include everything from robotics and circuitry to zoology and physics. On the second Sunday of each month, the High offers free admission for all visitors and special family-friendly programming. The March theme is Full STEAM Ahead. What do science, technology, engineering, and math have to do with making art? This month, discover how art connects with these subjects and explore the creative process. The second Sunday of every month is Family Free Day at MODA! Come out on Sunday for Spun Stories: Celebrate Read Across America! The family free day will combine storytelling with play. Meet us at the Design Bar and we'll practice stretching our storytelling muscles through an activity led by MODA's public programming designer. Put your newly honed storytelling skills to use in the Spun Lounge, located in MODA's back gallery. Bring your favorite book, grab a Spun chair and get to work spinning your own stories as we mix playful movement with words. Stop by Legoland Discovery Center Atlanta from now to Monday, March 11, for free admission and 50% off for four guests. Check the website to see who qualifies.